Despite mandatory automobile insurance requirements in Illinois, many operators of motor vehicles are uninsured (have no insurance), or are underinsured (have an inadequate amount of insurance), for the damages they cause when they injure someone in a car accident. 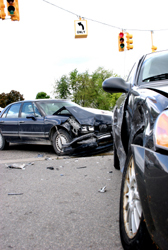 When an accident occurs, the client may have a claim for uninsured motorist or underinsured motorist benefits. In Illinois, when you purchase "full coverage" under your automobile insurance policy, you purchase "uninsured/underinsured" coverage (known as "UM" or "UIM"). The amount of coverage depends on the language under the policy and the amount of premiums paid. Usually, the policy carries UM/UIM in an amount equal to the liability or "bodily injury" (known as "BI") limits under the policy. In some instances, where the purchaser has elected to do so in writing and certain conditions have been met, the amount of UM/UIM may be less than the amount of BI. The coverage declarations page of your policy should reveal how much UM/UIM coverage is provided under your policy. It is important to review your claim with an experienced Illinois uninsured motorist claim lawyer. Will County, Illinois Truck accident , uninsured motorist, hit and run. A settlement for $100,000 (policy limits) was reached by Naperville personal injury attorney John J. Malm in an uninsured motorist claim (UM) on behalf of a man who was suffered serious shoulder injuries when a semi-tractor trailer struck his vehicle and fled the scene. A lawsuit was initially filed against a trucking company based on the man's description that identified the truck; however, the lawsuit was later voluntarily dismissed because GPS data obtained by law enforcement could not confirm the location of the truck at the time of the accident. An uninsured motorist (UM) claim was brought against the man's automobile insurance, and a policy limits settlement was reached before arbitration. Uninsured motorist claims arise in an Illinois car accident when the at-fault motorist carries no coverage or cannot be identified. An example of when an uninsured motorist claim may arise is when the at-fault motorist has fled the scene (hit and run) and cannot be identified. Often, motor vehicle accidents in the Chicago metro area involving pedestrians or cyclists result in uninsured motorist claims. The Illinois Traffic Crash Report will reveal the identity and policy number for any insurance that was carried at the time of the accident. Under some circumstances, additional insurance coverage information can be obtained by contacting IDOT to certify whether the driver is, in fact, reported to be uninsured. Underinsured motorist claims arise in an Illinois motor vehicle crash when the at-fault motorist carries an insufficient amount of insurance coverage. An example of when an uninsured motorist claim may arise is when the injuries or "damages" from an accident are so serious that the amount of money that is demanded or sought is significantly greater than the amount of coverage: A motor vehicle crash involving two cars occurs on Route 88 in DuPage County, Illinois: If the driver of Unit 1 (who carries $20,000 in BI liability coverage) hits and injures the driver of Unit 2, causing him to suffer medical costs of $60,000, an underinsured motorist claim should be filed. If the injured driver of Unit 2 has $100,000 in UM/UIM coverage, then an underinsured motorist claim may be filed to pursue the damages, including medical costs, pain and suffering, that cannot be recovered from the at-fault motorist. $100,000. Kane County, Illinois Pedestrian Accident. Settlement totaling $100,000 was reached by Naperville insurance claim attorney John Malm in underinsured motorist claim on behalf of a client who was struck by an automobile as he crossed a city street in Aurora, Illinois. The young man was walking within the cross walk and had nearly reached the other side of the street when he was struck by a car traveling at a high rate of speed, according to witness testimony. The man suffered a comminuted fracture of the tibia and fibula, which required surgery. He underwent a right leg 4 compartment fasciotomy with open reduction and internal fixation (ORIF) of the right tibia. The man has suffered permanent muscle and nerve damage to his leg and foot. The client had already reached a policy limits settlement with the at-fault motorist's insurance company for $20,000. He then retained attorney Malm to pursue the underinsured motorist (UIM) claim for the additional damages he sustained in the motor vehicle accident. An uninsured or underinsured motorist claim in Illinois must be filed against your own automobile insurance policy or the policy of a household or family member. Far beyond merely reporting the claim, there are written notices that must be filed and other technical steps that must be taken in order to bring an uninsured or underinsured motorist claim; therefore, you should consult with a knowledgeable attorney right away. Sometimes, there are insurance coverage issues that must be litigated in court. Why Should You be Represented by Counsel in the Case Of An Uninsured Driver Illinois? An Illinois uninsured motorist lawyer can help you identify available underinsured motorist insurance coverage and assist you in timely filing the claim against the insurance carrier in accordance with the rules for uninsured motorist claims and the specific terms of coverage under the policy. Remember, uninsured motorist claims create a conflict of interest between you and your insurance carrier. As in any adverse proceeding or litigation, you should consult with an attorney who has experience in litigating uninsured motorist claims. Your attorney should put forth a settlement or litigation strategy targeted to achieving the highest possible settlement. An experienced and knowledgeable Illinois uninsured motorist attorney can be particularly valuable in confronting and resolving hospital, physician, and subrogation "liens" which arise from paid and unpaid medical expenses alike. This process must be completed before the overall settlement is finalized. I am often able to provide my clients with valuable assistance in resolving or adjudicating expensive liens that were filed against their claim (and actually compete against the client's net settlement), which result in substantial savings to the client in determining the net settlement amount they will receive. Remember, each dollar reduced or eliminated from a competing lien translates to a dollar earned by my client. For example, when a lien is reduced by $10,000, it results in a $10,000 additional net recovery to my client, and so on. Do not overlook this important fact when you consider whether to hire an attorney, or whom you hire. Get a lawyer who gets results. Nicholson v. Sate Farm Insurance. Nicholson v. State Farm Insurance. The Illinois Supreme Court has denied an appeal by State Farm Insurance, thus, allowing to stand the decision of the Illinois Appellate Court in Nicholson v. State Farm Insurance, No. 2-08-0639 (2nd Dist. 2010) construing the obligations of an insurance carrier to provide underinsured motorist coverage pursuant to section 143a--2 of the Illinois Insurance Code (Code) (215 ILCS 5/143a--2 (West 1998). Under the decision, "whenever liability coverage is increased above that provided under the previous policy, insurers must again offer UM coverage equal to liability coverage and obtain a signed election declining such equal coverage." Attorney John J. Malm proudly served as trial and appellate counsel to the family of a woman who was killed when the vehicle in which she was a passenger crossed the center line. Evidence obtained by Mr. Malm included an admission by State Farm that its underwriting file had been discarded, and that the written election of coverage form was not obtained by the State Farm at the time the coverage changes were issued in the subsequent policy. The decision represents an expansion of consumer rights for purchasers of automobile insurance in Illinois. A Chicago physician, who was seriously injured in a hit-and-run collision, has retained the Illinois uninsured motorist claims lawyers of John J. Malm & Associates. The man suffered a head injury, broken ribs, and other injuries that prevented him from working for several weeks. The claim for uninsured motorist benefits is directed at the client’s automobile insurance company and seeks medical bills, pain and suffering, and lost income. The case is currently being set for arbitration under the terms of the policy. The at-fault motorist who fled the accident was not identified by police. A Naperville man has retained the Illinois under-insured motorist lawyers at John J. Malm & Associates to bring a claim for under-insured motorist benefits for serious injuries that nearly claimed his life following an intersection accident. “My client was hospitalized and underwent extensive surgery. He has medical bills in excess of $100,000, yet the driver who hit him carried only $50,000 in bodily injury liability coverage -- an amount that is inadequate to pay the damages he sustained, including pain and suffering and loss of a normal life,” according to Attorney Malm. Mr. Malm settled a claim against the at-fault driver for policy limits before bringing an under-insured motorist claim against the client’s own insurance company. This is a prerequisite to bringing an underinsured motorist claim in Illinois.